My Mom found this recipe a couple of years ago on allrecipes.com. We adjusted it slightly to make it our own. I absolutely love having a bowl of it in the fridge! It's great for taking to potlucks or large gatherings. I know it is a favorite at our families' parties. This is scaled up to 12 servings. You can easily chop the ingredients in half or a fourth if you wish. Drain pineapple, reserving the juice in a bowl. Add the apples to the juice; toss to coat. Let stand for 5 minutes; drain. 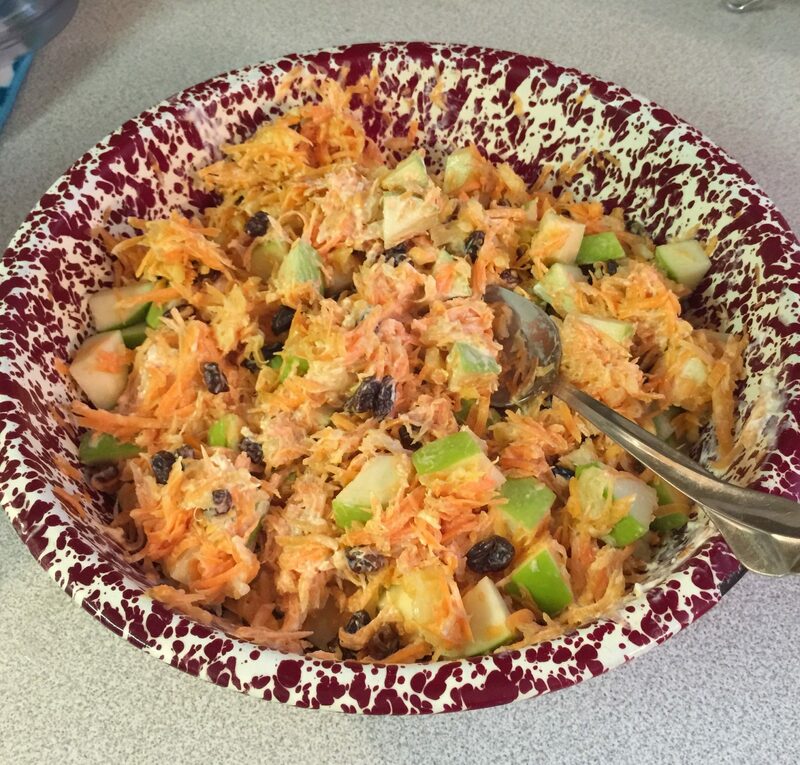 In a large bowl, combine the pineapple, carrots, raisins, and apples. In a small bowl, combine the remaining ingredients. Pour over carrot mixture and toss to coat. Cover and refrigerate for 3-4 hours or until chilled.